Thanksgiving can be a rough time for many women. Stress around gearing up for the busy holiday season on top of your normal to do list can be enough to send one over the edge. Add the Norman Rockwell image of a “perfect” family, and it’s enough to make you throw up your hands in defeat–families are inherently messy and imperfect. During this busy, stress-filled season, it’s easy to lose sight of important things. One of the easiest ways to help cultivate gratitude is to start a gratitude journal. If you are the artsy type, have you heard of art journaling? You can look it up on Pinterest. You could get lost in the ideas for hours–beautiful stuff! And let the peace of Christ rule in your hearts, to which indeed you were called in one body. And be thankful. Let the word of Christ dwell in you richly, teaching and admonishing one another in all wisdom, singing psalms and hymns and spiritual songs, with thankfulness in your hearts to God. And whatever you do, in word or deed, do everything in the name of the Lord Jesus, giving thanks to God the Father through him. Wives, submit to your husbands, as is fitting in the Lord. Husbands, love your wives, and do not be harsh with them. 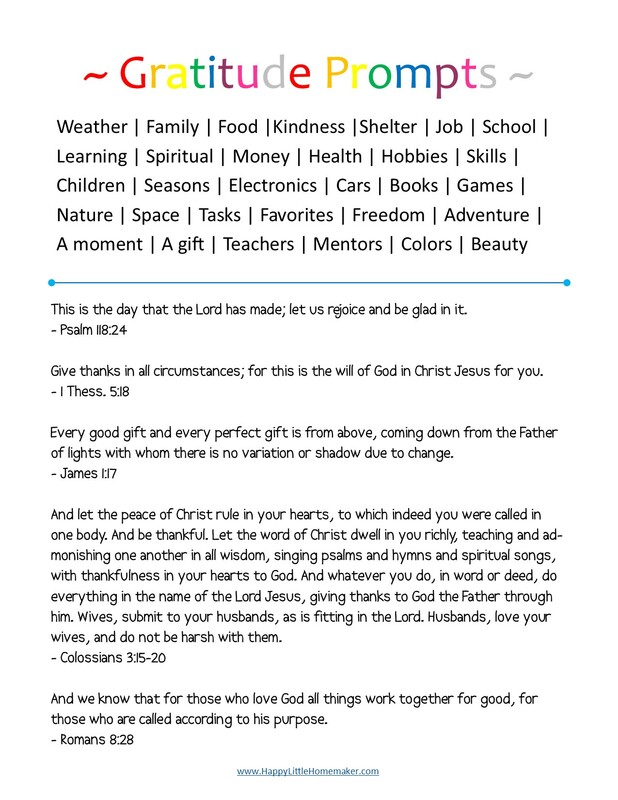 You can also download a printable version with the quotes here and the version with the bible verses here. I saved it as a JPG so that when you are ready to print it, you can select a size that will fit on the front & back inside covers of whatever size journal you are using. I wouldn’t go smaller than 4×6, though. Cultivating an attitude of gratitude can help change your attitude and help you live a happier life. If things are perpetually bad and its not getting better, please consider getting some help. Just the act of writing this made me realize that my last thyroid adjustment went too far and I needed to bump it back up. It’s worth getting to the bottom of! Hi! 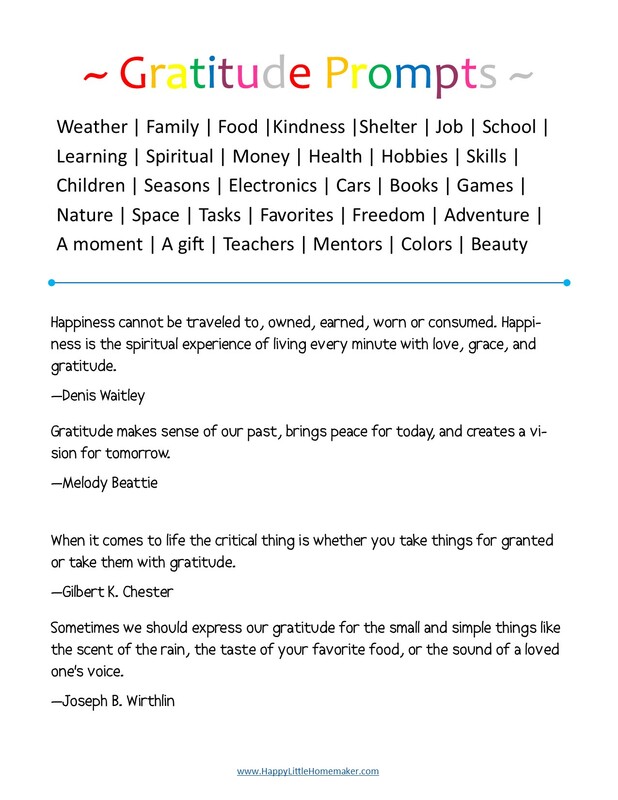 I wanted to thank you for sharing my gratitude journal page!